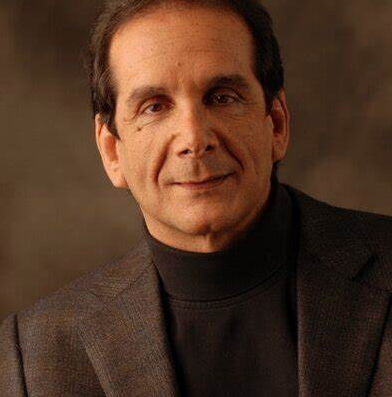 To understand American politics, the late Pulitzer Prize winning columnist Charles Krauthammer noted, you have to recognise that the right thinks the left is stupid and the left thinks the right is evil. It’s not only in America. Stupidism* is real – and not only in America, but America seems to be exporting it. Europe is also doing its bit. So is much of the media everywhere. Democrat presidential hopefools (sorry, it’s irresistible) are outbidding each other in climate alarmism. The inexperienced and immature 29 year old Alexandria Ocasio-Cortez is now predicting the end of the world in 12 years. Precise, that. Her proposed solution is to shut down America, from vehicles to cows. America is lucky she is 6 years short of being eligible for the Presidency, given she is such a media darling. If the mainstream media had not boosted her fame (eg a Time cover) she would have remained a little known novelty who spouts silly thoughts. “Unemployment is low because most people have two jobs.” “More people are concerned about being precisely, factually correct than being morally right.” That last gem was on 60 Minutes, showing Americans the infantile intellect that characterises the agenda she is espousing for the Democrats. In Australia, the Greens have outbid Labour on CO2 emission targets, demanding “zero or net negative gas emissions by 2040”. That’s just 21 years away, but Labour doesn’t guarantee the world won’t end before that. The cancellation of coal – our major export earner – is part of their energy policy package, which begins with this statement: “Human-induced climate change poses the greatest threat to our world, civilisation and way of life.” Stupidity on a global scale is a greater threat. This lurch to the hysterical extreme on anthropological global warming – all in the absence of any evidence supporting it and historical evidence against it (see geology 101) – is the most obvious demonstration of stupidism. How else to characterise the wilful ignorance required to embrace national suicidal plans? Mind you, much blame rests on the shoulders of politicians who have had countless opportunities to confront the CGW monster but never had the smarts or the guts to do so. Unless a leader articulates the facts and debunks the consensus fraud, there will be no resurrection of scientific truth. Much of the media everywhere is captured by the fraud. Climate orthodoxy shuts out curious, skeptical journalism. 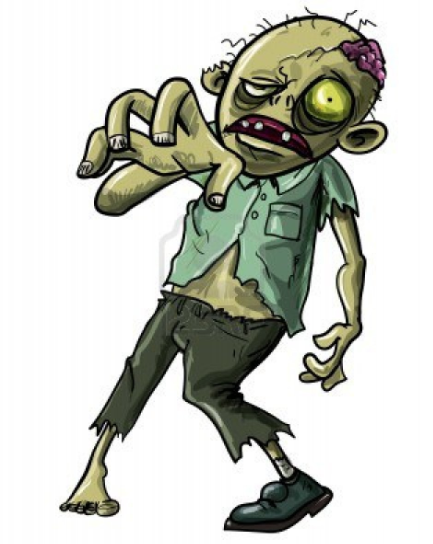 The zombie is there to propel the narrative, irrespective that the collusion accusation is dead … but that’s what this zombie is. The talking dead. This will continue: after the Mueller report is released in full (security and grand jury material redacted) in mid April, the Dim-O-Crats will raise suspicions about what’s between the lines? What did Mueller REALLY find? And even after he has given testimony at a House inquiry, the zombie lovers will keep alive the suspicion that Trump is a Russian agent. (Not an effective one, obviously…) Several Democrat representatives cling publicly to that zombie. And are throwing a tantrum. By the way, Mueller has been criticised for selecting a Democrat-heavy team of lawyers for his team. Perhaps Mueller did that (no fool he) to insure that if he found no collusion (which he may have safely anticipated), he was protected from accusations that his report was tainted by pro-Trump lawyering. The 2016 referendum on Brexit, resulted in a vote to leave the EU (17.4 to 16.1 million). In the wake of that (unexpected) result, the Prime Minister who campaigned to remain, David Cameron, resigned. In his place, the Conservatives elected Theresa May PM. She was to lead the negotiations to leave. May, along with 485 other members of the House of Commons, was a remainer (v 160 leavers). So how is that working out for them? On a single day – Thursday last week – over 4,000 people from Central America flooded the US Mexico border illegally (and 76,000 last month) but the Democrats claim the chaos on the border is just a crisis manufactured by Donald Trump. Wilful ignorance or malicious mischaracterisation? The open borders ambitions of the left in America is uninformed by the experiences of Germany and Italy since 2015 and Australia under Labour. It is a notion driven by a claim of moral rightness but absent of rationality (AOC territory). But the proponents of open borders have never answered the key questions: what number of total illegal immigrants is acceptable? Is there a cap? What is it? Clearly, an open borders policy makes the legal processes redundant. Come all, whoever you are. Is that smart or stupid? Open borders policies defy common sense – and demands thorough media scrutiny. The discussion of complex issues around legal & illegal migration – especially where extreme cultural differences are involved – has been reduced by open border enthusiasts to a kneejerk response: ‘racist’. * Stupidism – the toxic confluence of irrational climate alarmism, identity politics, socialism, virtue signalling, hypocrisy and intolerance – laced with latent violence. This entry was posted in Quotidian. Bookmark the permalink.